Chrysler 300 Limousines With Seating Up To 14! YC Limo features two beautiful Chrysler 300's in solid black and also in sleek black and silver. Each has a Gull wing door as well as chrome accents and wheels. These limousines are guaranteed to turn heads! Sit back and relax! Arrive in style at your next special occasion. Let YC Limo be "Your Chauffeur" for a prom, wedding, corporate event, or simply a night out to have fun. Cadillac CTS and XTS Limos With Seating Up to 10! YC Limo now features three of the HOTTEST rides in Cincinnati! Introducing the Cadillac XTS and the very rare CTS limousines. YC Limo is proud to be one of the first in the Country to feature the sleek Cadillac CTS Limousine! Arrive in a vehicle that is as special as your occasion! YC Limo now features the Chrysler 300 "Executive" limousine with seating from 2 to 6 passengers. Perfect for couples or small intimate groups! The YC Limo Chrysler 300 "Executive" limousine can be used for small corporate groups, proms, or a night out on the town. Featuring the Maybach ceiling allowing you the ability to control the mood lighting from subtle to festive! The YC Limo Chrysler 300 "Rolls Royce" limousine is perfect for proms, a night out on the town, or weddings when paired with our Hummer! The YC Limo Chrysler 300 "Rolls Royce" edition limousine. A luxurious option for 2 to 5 adults! First and foremost, THANK YOU for taking the time out of your busy schedule to visit our website. We've tried to keep it "user-friendly", informative and, yes, throw in some great pictures, too! Your Chauffeur has been providing livery service exclusively for 33 years which is more than 3-5 times longer than most of our competitors! We have seen hundreds of companies come and go due to poor service, substandard vehicles, ridiculous rates and especially bad attitudes. So sit back, enjoy browsing our website and let's start making memories together. It has recently come to our attention that many of our competitors are charging ridiculous amounts of money for overtime charges. Most are charging for an additional FULL hour of time with some charging up to $250.00 or more, even if you only use the limousine for ONE minute past the originally scheduled rental time. Many trips do last a little longer than originally anticipated, or their driver might drive just a little slower, which extends the rental into that additional charge period. This is how many of the services make up for their initial low prices! Your Chauffeur Limousine charges additional time in only 15-minute increments after the initial hourly minimum has been met, so you only pay for the time you actually use. You also need to know up front how you're being charged/overcharged for...extended time, replacing a broken glass at $25.00 each, paying up to $500.00 more if there is a sickness accident...the list goes on and on. You should always request to see a contract before agreeing with or signing for anything. We are happy to provide our rental contract ahead of time detailing any and all charges that may arise so you don't have any unwanted surprises. Remember, we haven't been around for over 30 years without earning your business honestly! 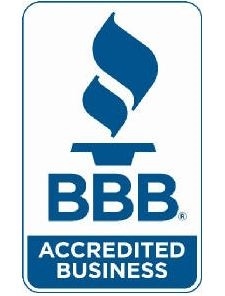 Your Chauffeur Limousines' 33-year proven track record and a perfect Better Business Bureau rating says it all! We know what you want and expect. Delivering that is our prime goal! New for 2019 - Round-Trip Pick-Up / Drop-Off plus One-Way transfer limousine service! New Chrysler 300 limousines in "solid black" and "black and silver" with seating up to 14"